Indecent Event homeBuy ticketsCustomer reviews Tyler Perrys Madea's FarewellMarjorie PrimeOklahoma! An exhilarating ride you'll never forget. 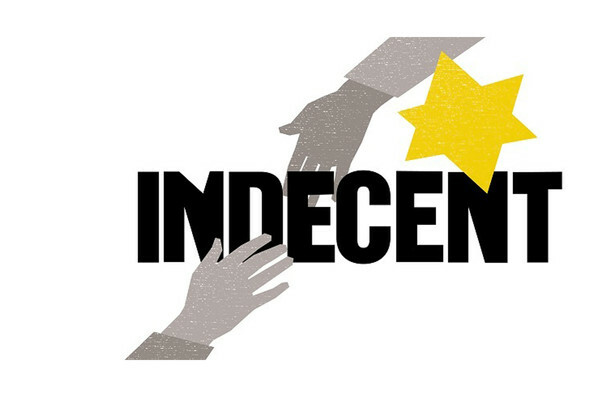 From Pulitzer Prize winner Paula Vogel, Indecent is an intelligent exploration of freedom of speech and the profound power of art. It tells the true story of Sholem Asch's play God of Vengeance and its scandalous New York premiere in the 1920s. Set inside a brothel, and featuring a lesbian love story, this boundary-pushing work was shuttered by the authorities, and the entire cast put on trial for obscenity. Indecent takes us behind the scenes of the God of Vengence's staging, and shows us the ways it changed its actors and creators forever. Sound good to you? Share this page on social media and let your friends know about Indecent at OReilly Theater.